Guests this week on Interview are Rosie Batty and Lily Allen. 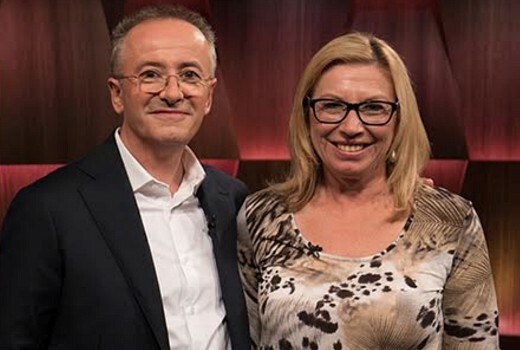 Former Australian of the Year Rosie Batty did what for many of us would be unimaginable. She turned her greatest tragedy – the murder of her only child – into an extraordinary national campaign to break the cycle of family violence in Australia. But it’s come at an immense cost. Now, Rosie’s stepping back from public life to focus on her own grieving and healing. While millions of Australians are inspired by Rosie’s courage, others have judged her – claiming she never cried enough, wasn’t emotional enough, or, weirdly, was too strong. In this emotional edition of Interview, Rosie opens up to Andrew Denton about her critics, stepping away from the spotlight, learning to live each day without her beloved son Luke, and finding her version of happiness. In the world of cookie-cutter popstars, Lily Allen stands out. For more than a decade, the British singer-songwriter has been topping the charts with funny, feisty, and confrontingly honest songs about herself and the pressure of celebrity. Refreshingly authentic and upfront, Lily reveals her struggles with success and fame, female empowerment, motherhood and her favourite piece of Lily Allen #fakenews. In the wake of the Me Too movement, Lily also tells of her own deeply personal family experience with Harvey Weinstein. I hope Andrew asks her about all the controversy surrounding her. I would be very interested to hear her side of the story. Note to self – Better stock up on the tissues. Even a few years on; Rosie’s courage and raw wound seem extraordinary that she showed the nation how it was for her and for other women like her. For once they got it so right when they named her Australian of the Year. Sadly, domestic violence is still such a pervasive issue. Her appearances however infrequent will hopefully continue to be part of the solution.